If you are new to outsourcing or to any particular aspect of it you owe it to yourself a good deal of reading, analysis, and learning before you move with offshore initiative of any significance. 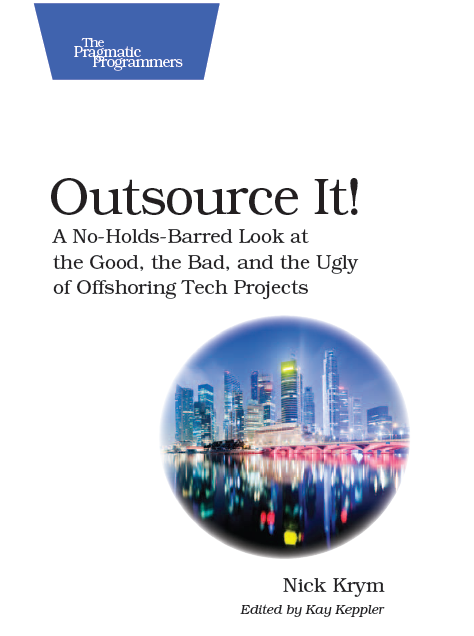 I hope that the posts in this blog will give you a good idea why offshore outsourcing may turn against your goals, objectives and career. If you are facing tough deadlines you may need some help in learning the ropes. One of the ways to speed up the process or/and limit your exposure is to bring outsourcing adviser(s). You want to find an appropriate adviser depending on the scope of your initiative, budget and other aspects of the task. Even if you have time and experience an outsourcing adviser is something you should consider. There are plenty of reasons for that – independent sounding board, industry insights, etc. Need some more reasons? – take a look at Ten Compelling Reasons to Engage Outsourcing Advisors. Some of the world largest consulting companies play in the field of outsourcing advise as well. There are also a plenty of specialized organizations, boutique shops, and individuals. For example, take a look at The 2009 World’s Best Outsourcing Advisors from The International Association of Outsourcing Professionals™ (IAOP™). Once in a while I take on outsourcing adviser role as well. I usually work with software development and IT organizations in several areas – primarily during vendor selection process, sometime help in managing offshore relationships / running offshore operations, and once in a while as intermediary. UPDATE: With a help of my VA I was able to compile a fairly comprehensive list of Outsourcing Advisors. Take a look at the list sorted by Name, Alexa Global, and Alexa US.